Have you heard of Jen's 100 day challenge? 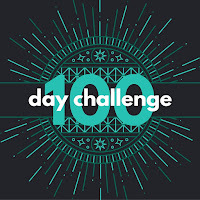 Knowing how many New Year's resolutions fall by the wayside or get diluted because a whole year is plenty of time to complete them, Jen came up with the idea of a 100 day challenge. The thinking behind it is that 100 days is not too long to stay motivated for but long enough to complete a few big challenges. 1) Pick 3 specific Quilty/Craft goals - finish some UFO's? try something new? make that baby quilt? declutter/destash? easy/hard? Doesn't matter, just be specific. Specificity helps so we don't justify changing our goals midyear or rationalizing that we generally completed them when we only tried. Naturally being the caring bloggers that we are there will be support along the way from fellow challengers and just to keep that motivation going, check-ins too. So, here are the three challenges that I have decided to go for in the next 100 days! First up a Bee quilt that I said I was determined to finish in February last year! The quilt is Up, Up and Away from the book Sunday Morning Quilts by Amanda Jean Nyberg and Cheryl Arkison. The quilt consists of 589 white 2.5" blocks with a scrappy triangle in the corner. Thanks to my Bee mates in the Sunday Morning Quilts bee I have almost half of the quilt top pieced. I have now run out of Bee blocks so the rest is down to me, which means that I need to cut out and piece 235 blocks! My third challenge is also embroidery related but I can't show you a photo of it yet, so have made do with this embroidered card! 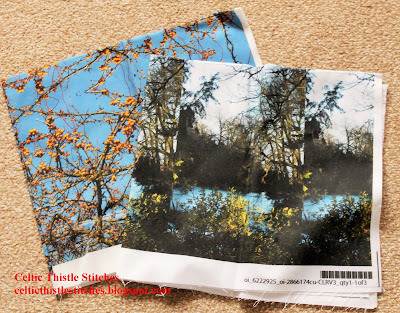 The project is a request sent out recently from the Embroiderers Guild to contribute to a large banner. I have never done anything like that before, but before I could talk myself out of it I replied to the email to say that I was interested in taking part. I am sure that I will be intimidated by all the wonderful embroiderers taking part, but that is a worry for another day! If you fancy challenging yourself too, head on over to Quilter in the Closet to check out the details. Fabulous goals, Fiona! I love that quilt from Sunday Morning Quilts. 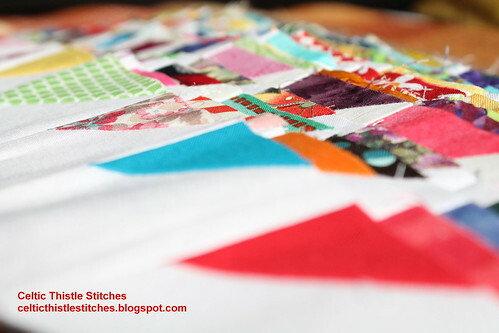 I have quite a few random triangles laying around, but probably not enough to finish a whole quilt! How great that you were able to get bee mates to help out. And I am looking forward to seeing your embroidery projects too! I'm sure they will both be divine! I particularly look forward to seeing what you do with the Spoonflower project, Fiona. 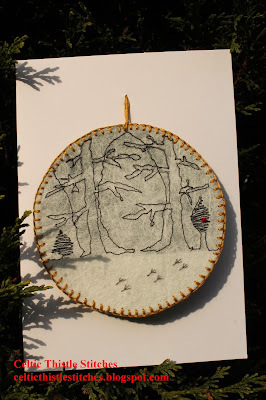 I love your embroidery projects - look forward to reading more about them! Good luck with those goals! Only 235 blocks? I'm sure you can do it:-) Look forward to seeing. Yes, you will be busy! Have fun stitching these up!